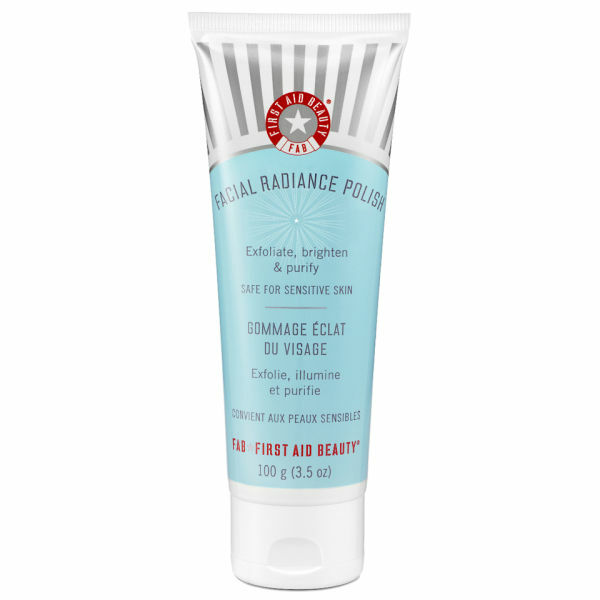 Inspire a natural, healthy glow with the First Aid Beauty Facial Radiance Polish. Combining natural exfoliants shea nut shell powder and willow bark extract, this exfoliating scrub works to improve skin's clarity by gently buffing away dirt and grime to uncover a brighter, smoother, more even complexion. 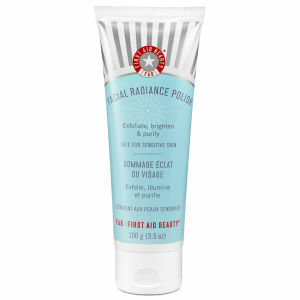 Deeply cleansing and intensely purifiying, expect a renewed complexion with a radiant and refreshed finish. - K.N. Dampen the face and dispense a small portion of polish onto fingertips. Avoiding the eye area, delicately massage into all zones of the face.